The act of composing music requires years of training, experience, and a knowledge of some basic theory to be a professional composer. However, this doesn't mean you can't learn to be a very effective composer without putting in thousands of hours of composing time. Anyone can learn to write music, but how far you go down the rabbit hole depends on your goals. While there are people out there who can compose music without learning all of the intricacies of the craft, you'll go much farther if you take the time to learn a few basic skills. The good news? This blog is really all about you. I'm giving you my best advice to develop your skill and ability as a composer. You're getting all of my years of experience studying with some of the world's most famous composers. I've studied and had master classes with composers who are already in the history books, and lucky you, all you had to do was find my website. I'm not saying this to be egotistical. It's actually anything but that. 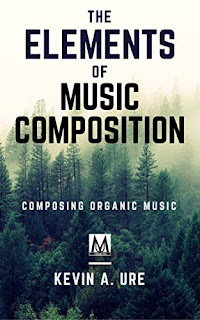 I'm telling you this because I want you to know that the information about composing music contained in this blog is real, and you can take it to the bank. Best of all, you don't have to pay several thousands of dollars worth of tuition to get this information. I've worked with some really great composers, and I want to share what I've learned because it helps me to process my own beliefs about music and what it should be. So, now that we've settled on the fact that you're selfish for getting all of this information for free, and I'm selfish for using your time to process my thoughts on music, let's get some real information going. We've all heard the story of how Beethoven composed music without being able to hear. What you might not know is that Beethoven had been composing for a very long time before he lost his hearing. He developed an internal sense of music that was developed during the years that he could hear. This enabled him to continue composing even after losing his hearing. My point? I don't care if you're Beethoven, you still need to know what the fourth ledger line on the treble clef staff is if you're going to compose music seriously. 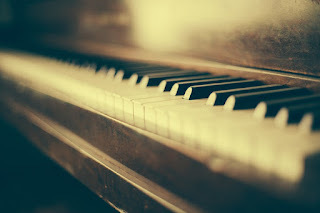 Composing music does require talent, and there are some naturally talented people out in the world, but it's also about much more than simply being talented. You also need to know some of the basics of music composition, and you need to work hard. The Fool's Journey is a work for wind symphony, and it has over one million notes between all the parts. I rewrote this work several times in an effort to continually perfect it. Even now, I'm still finalizing the work and getting it ready for a demo recording. My point is, if you want to be a composer, you're really going to have to work at it. But, every journey has to start somewhere, and while other composers may suggest another track, I believe there are three elements that are essential before you can seriously begin to compose music. Music Notation: You have to be able to read music if you're going to write classical-style compositions. I'd argue that you should be able to read music no matter what you want to write. Yes, there have been many composers throughout the years who said they didn't know how to write a single note. But, if you can't read music, you're doing yourself a disservice. Notation allows you to get your ideas down on paper where you can edit and change them until they really represent the mood, emotion, and intent you're trying to achieve. Music Theory: Music theory is not the only way to learn to compose music, but it's definitely the fastest way. Think about it, what's going to take you longer to do? Listening to 400 years worth of music, or taking a theory course that introduces you to the basic principles of composition. Learning music theory is like a taking crash course in the most popular music over the past few centuries. Don't be the pompous annoying jerk who says they don't need to study music theory or listen to other composers music because they won't be original if they do. At the risk of this turning into a tirade, let's just make this simple -- if you don't know what already exists, how do you know what you're composing is new? Musical Counterpoint: At its core, musical counterpoint is simply the creation of more than one melody that when played together sound pleasing. It's also a way to add chords to a composition without really understanding much about chords and progressions. While I would still much rather you learn to compose your own chords, counterpoint is something that can help you get out of tricky situations without much of a time investment. By the way, for those of you more advanced composers out there, this also includes voice leading. There are other requirements like orchestration, instrumentation, form and analysis, and music composition technique. However, all of these skills can be learned as you go. The first step in learning to compose music is to recognize that there are certain skills you have to master. Then, you can begin a step-by-step process towards developing those skills. Music lessons are a good way to begin working towards developing a solid craft in music composition, but during the initial stages, you can also learn most of what you need to know on your own. If you've never studied music before, it's not too late to start. There have been cases of pianists going to Carnegie Hall in their 40s after picking up the piano. It just requires some dedication, and the ability to push yourself mentally. Start by picking up a music theory textbook, and then move from there to more advanced subjects. This blog deals only with helping you get the tips and tricks you need to learn how to compose music more effectively. It's geared toward the entry-level composer, so you can begin to learn what it is you need to do to succeed. Over the years, I have taught composers from all walks of life from the very beginning composer to doctoral candidates in music composition at large universities. And, I'm dedicated to helping you learn to compose your own music. Why? Because the more composers we have in the world, the more informed our musical audiences will be. It's also a great way to relieve stress, deal with powerful emotions, and it's something all people should have the ability to enjoy. I don't care what your ultimate goal is for being a composer. The world needs educated audiences, and music education is something that is severely lacking in our schools. It's something that people from several different cultures can understand and appreciate, yet, it's also the subject that is first cut from our schools when budgets run dry. Music is one of the things that makes us human, and it's one of the few things we don't share with other species. As far as we know, the enjoyment of music is uniquely human. Whether composing music is a hobby or you want to break into writing your own music for orchestras, there are paths available to you. You just have to be proactive, promote yourself, and develop the technique needed to compose effective works. This section is for the person who knows nothing about music. The Dummies books will have you up and running and teach you the basics of music composition fairly quickly. 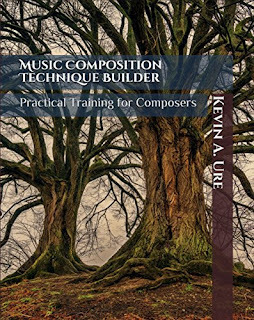 Once you get through this book, you can start composing your own music and work on the Intermediate Music Theory section. The Dummies books are okay starting points for people who have no real knowledge of music theory. If you want a fun, and humorous method of learning to compose music you can start with Music Theory for Dummies. For those who want something more in-depth and a little more serious than a Dummy book, this section is for you. This is where the real education begins. If you're looking at the books in this category, that tells me you're starting to get serious about learning to write music. In effect, this section is where the "E" word begins to really means something. If you want something more intensive, then I suggest you go with the textbook that colleges around the world are using. 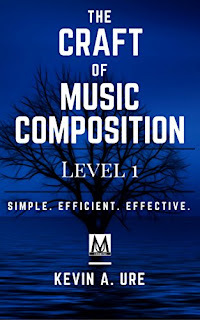 Tonal Harmony is a good textbook, and if you make it through the entire book, you'll have all the knowledge you need to start composing music quickly. If you've gone through those textbooks, or you feel confident that you already know your music theory, then here are a few texts that might give you that extra insight to understand that theory is just a means to an end. You don't really need music theory to compose music, but it does help you to understand how to compose music more quickly and gives you a good insight into the technique of the masters from the past. Paul Hindemith believed that composers should learn music theory and get on with it. His courses were notorious for being only 10 weeks long. If you want some insight into his method of teaching theory, his Music Theory text is a good place to start. Arnold Schoenberg was another famous composer-teacher. For those of you who know this man for his atonal works, don't turn away just yet. This text focuses on traditional harmony, but it's extremely philosophical, and it is the type of theory text you can read through. His Theory of Harmony is widely regarded as one of the most important texts in music composition available. Music theory is important, but don't make the mistake of thinking that it will solve all your compositional problems. I see music theory as a way of avoiding having to solve the problems that composers of the past already confronted and solved. I believe in doing things in a new way when it makes sense to, and following the status quo when it makes sense as well. Yes, you need to understand music theory. It's just that important. However, remember, if you learn music theory and compose your own compositions based on the rules of theory, you are nothing better than a Xerox machine. (We still use those, right?) On the other hand, if you are doing this for fun and that tricks your trigger? By all means, put that theory book to good use and enjoy a good campfire with close friends. Even so, music theory is like a set of training wheels. Use it to help get your bearings and learn how to compose, but once you know how, it's time to take off the wheels and start riding on your own. This is how you begin to write original music, and believe me, there are very few composers out there who are truly writing original compositions.